BLOX VTEC Solenoid UNIVERSAL - Pann Auto Performance - San Diego largest aftermarket automotive performance parts - What do you drive? Dress up your engine bay with the original, high quality billet aluminum VTEC solenoid cover. 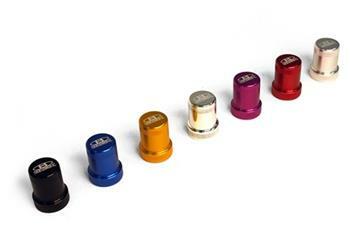 BLOX Racing VTEC solenoid covers are anodized for a durable and long lasting finish. The large VTEC solenoid cover is available in matte black only.